Download for FREE the 12th issue of planetgolfreivew digital magazine. The luxurious Grand Hotel de Bordeaux & Spa has an extraordinary architectural history, a hotel with a mix of traditional and contemporary chic located in the South-West of France in the heart of the city. Every one of its 148 rooms and suites is individually designed. 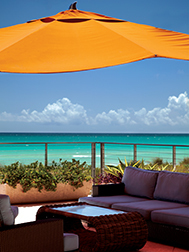 Canyon Ranch Hotel & Spa is an all-suite oceanfront luxury hotel and spa located on the fashionable Collins Avenue on Miami Beach. This spectacularly luxurious family-friendly resort is a first in it's kind - a hotel completely dedicated to promoting wellness, physical activity, interaction and family fun, throw in a variety of fun Spring family packages and Spring Break just got more exciting! From the Baltic Sea to the Tatra Mountains, staying at one of the Polish health resorts and spas will be an unforgettable experience. Each specific health resort is conditioned by the climate and the natural resources of given medicinal properties. The Dorchester is one of the most famous and iconic hotels in the world. And with it's five star collection in locations such as London and Ascot, they are offering a two-visit treatment package to help you to get prepared just in time for the summer sun. 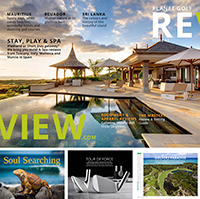 From Europe to the Caribbean, the Far East to Latin America… Planet Golf Review will now bring you hotel and spa reviews from across the planet. Our readers have been happy with the hotel suggestions we make but have requested more information, and where possible a full review with some photography. After many months of searching we have now appointed an Editor for this section. Now we will not only bring you great courses from around the world for you to play, but we will also provide reviews of the best places to stay. And with the growing number of golfers who enjoy a spa with their partners after their day on the links, we can now offer you the best of both worlds.